← A good multi-device charging dock: Hallelujah! Nice review. I have only ever used TripIt and am definitely a Fanboy, as it were. One comment I would make on your “business traveler” recommendation. My company uses Concur, which now of course owns TripIt. So, the integration there is pretty seamless now IMO. Like you say, if you only know one, you don’t know what you are missing. 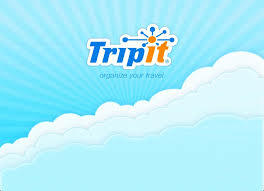 But, I can say I rarely if ever have found my self wanting for more when using TripIt. Thanks for the analysis. Very helpful. Nice review, thanks. I’ve been using Tripit for quite some time so I wanted to point out that the Seat tracker is a bit more useful than you have detailed. If I cannot get a good seat flight at booking time I set up seat tracker to monitor the airplane in case a seat that matches my criteria opens up. If a better seat opens up I get an alert and have, many times, changed seats for a connecting flight. Thanks for the information. I downloaded both. When I tried to sign up TripIt rejected my password choice twice. (I have one password I use for all travel accounts). I then tried Trip Case and my preferred password was easily accepted. That made the decision for me and I deleted TripIt. I’m writing this from Dubai airport. I downloaded Tripit months ago and then changed my mind about using it, however I’m still registered on their website and get emails. For our recent 7 week trip to the UK I downloaded Trip Case and have been using that. The strange thing is that all my notifications about flight status and gate changes have been emails from Tripit! Trip Case hasn’t been helpful there at all. Even at London yesterday the gate change notification came from Tripit. Trip Case still shows the wrong information! I’ve been a Tripit user since 2010. Tripit keeps complex flight info, hotel info nicely organized in a chronological order. Tripit is especially in instances where distinct itineraries must be joined. Our family of 4 adults which normally travel in 3 groups (parents, child 1, child 2.) Typical Summer trips will include different departure times and locations as well as travelers. The family members will eventually meet up in one destination before traveling together. Tripit does this pretty much all for us. I use the free version and thus rely on Flight View to monitor real time status of our flights. This review allows me to stop pondering about whether I should use Trip Case. Thanks for the perceptive review, which reflects some of my conclusions re: Tripit vs Tripcase. I have been a Tripit user since its inception, & I’ve found it to be good (both free & premium versions). I have recently tried Tripcase because it has a better GUI on IOS & a better website. Trying to send accommodation & flight details to Tripcase was a real problem. Even though I have only one functioning email address, which is the one I registered with Tripcase, the app kept sending confirmations to my iPad via an email address I have not used for years, but the confirmations apeeared as they should on my iPhone. The Tripcase support people were very unhelpful. I persevered with Triopcase on my iPhone, but each time I added a new flight or accommodation to my trip, it appeared as a separate trip. As I am currently booked on eight flights & at six hotels, the manual merging of these to my main trip was tedious to say the least. It would seem trivial for Tripcase to automatically merge trip details as they are notified in the seamless way Tripit does. In short, I am staying with Tripit.